Each year the World Innovation Summit for Education (WISE) Awards recognise initiatives from across the globe which prove to be innovative and effective in tackling education challenges. Six winners for 2018 have been announced from a pool of 413 projects, and here, we explore the work of four programs that target K-12 students. 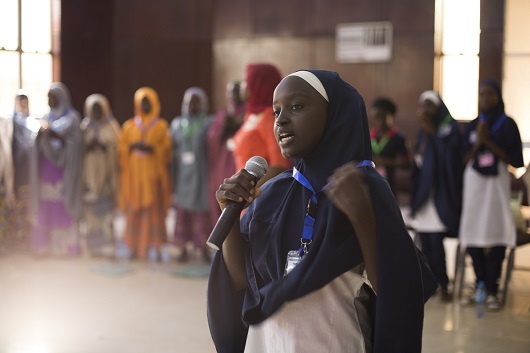 Safe Space Club for Girls, organised by the Centre for Girl-Child Education (CGE), is working towards improving basic literacy and numeracy skills for girls in rural Northern Nigeria. Mentor-led safe spaces for girls aged 10-18 is at the centre of this project’s aim. According to Safe Space Club for Girls, allowing time and space for girls to meet safely is essential in order to strengthen their fundamental academic competencies. The club provides crucial support for girls who are attending schools in rural areas with a lack of staff and funding, and involves the use of community engagement, subsidisation of school fees and the training of female teachers. They’re currently reaching 17 000 girls and their communities. In response to the lack of quality education for deaf children in Pakistan, Technology-Based Deaf Education – facilitated by the Family Educational Services Foundation (FESF) – works towards providing access to resources for deaf children. Less than 5 per cent of Pakistan’s deaf children attend school and become literate, Technology-Based Deaf Education says, adding that the number of deaf girls achieving this is much lower. ‘The acquisition of language and literacy skills is essential to the personal development, education and social and economic wellbeing of deaf children,’ the program notes. The teaching of language skills is done through digital technology, such as FESF’s Pakistan Sign Language online dictionary. The technology-based education reaches students from K-12. Image: Technology-Based Deaf Education. FESF is now working to help parents learn to communicate with their children, and is providing teachers with appropriate training and capacity-building resources. They also plan to provide computer units to schools in need across all of Pakistan to deliver access to their Pakistan Sign Language online dictionary. 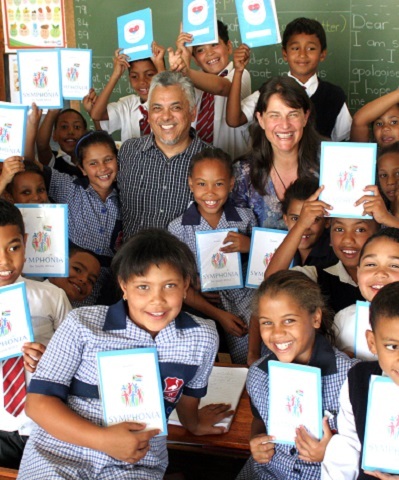 Partners for Possibility in South Africa pairs business leaders with principals for a 12 month period of structured leadership development activities. Symphonia for South Africa built this initiative in response to research showing that the leadership of principals is a major factor in determining student achievement, while the current climate in South Africa means most principals in the area do not exhibit the necessary leadership skills. According to Partners for Possibility, approximately 75 per cent of schools in South Africa are labelled as ‘failing’, which is why they are working towards providing crucial assistance to principals in under-resourced schools across the country. Learning life skills from an animated television series is the premise of this Canadian project. The cartoon series, 1001 Nights, can form the basis of classroom lessons on civic education. ‘There is a need for programs that promote inclusion, respect for different ideas, non-violence, human rights following the rule of law, and the development of healthy youths so that they can be positive agents in the development of stable societies and social cohesion,’ the program says in its submission to WISE. 1001 Nights’ 40 lessons stimulate critical thinking skills, citizenship values, empathy and civil rights; and has been piloted by 15 countries. UNICEF has also picked up the program, using the cartoon series to provide psychological support for children in post-conflict situations.